On a blistering summer’s day in the small Eastern Cape town of Kareedouw, about 50 pupils from three of the area’s main schools packed into the cramped municipal library. Less than 100m away, builders powered on despite the heat, working at wrapping up a project which has been several years in the making: the town’s first dedicated, modern library building. The building is set for completion during the second half of this year. Instead of the current library which has make-shift pine shelves and a couple of computer terminals crammed into a 200m² room in the old municipal offices, the town’s new 1,000m² stand-alone community library will boast an airy atmosphere and an open-plan design. There will be room for children’s reading areas; study areas; breakaway rooms; reading spaces in an open-air courtyard; a dedicated area for online research and computers; as well as a conference room. The Kareedouw pupils were gathered as part of a project to breathe artistic life into the new library, and to put a firm and lasting community mark on what will be one of the largest community spaces in the town. The schools represented included Paul Sauer High, Kareedouw Primary and Qhayalethu FET. 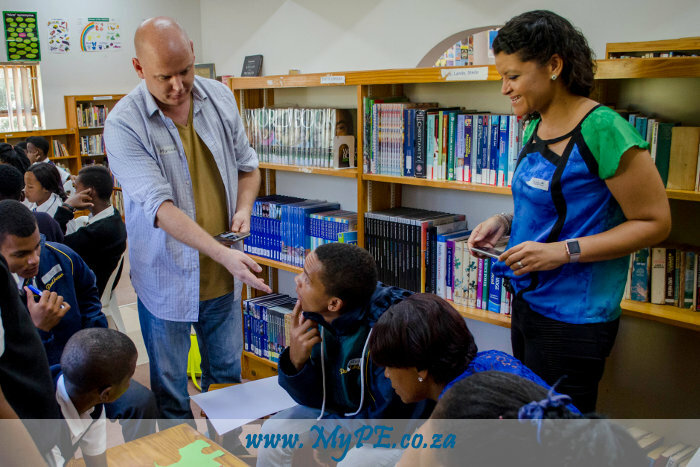 A creative workshop to bring to the fore their designs – which could be used as murals, mosaics, fabric designs, sculptures, or other artworks in the new building – was headed by celebrated Johannesburg cultural activist and artist, Marcus Neustetter. Among a wide array of national artworks, Neustetter has also been involved in Port Elizabeth’s iconic Route 67 heritage art project. Neustetter, along with the SVA project team, is now in the process of selecting the pupils’ various designs and establishing how they would best be represented in the new building. Debbie Wintermeyer, who heads the SVA Eastern Cape office and attended the workshop, outlined the aims of development. Although civic projects usually undertaken for the Department of Roads and Public Works tended to be heavily prescriptive in design, she said the firm managed to convince authorities to allow for more of a creative licence – a move which would ultimately be to the benefit of the 5,000-strong Kareedouw community, she said. SVA Eastern Cape has a long relationship with various government implementing bodies, having been at the helm of renovations of Port Elizabeth’s North End Prison, which were completed last year. Incorporating a courtyard into the plans not only enabled a lengthening of the building amid a tight budget, but the courtyard also served to add additional usable spaces, variety and so increased usability, said Wintermeyer. A similar courtyard principal was incorporated in the firm’s design of the lauded green-rated building which now serves as the headquarters for the Nelson Mandela University School of Business. “As South Africans we are cultural; we are diverse. With all these cultural energies which exist, buildings are canvasses to show respect for our diversity. And there’s nothing better than art, as a universal language, which represents our communities.